Well, I wasn't gonna say what was in the trailer. Are we marking trailer stuff under spoiler warnings, or nah? That said, though, if they're doubling up on a handful of horses, they can only go so fast. I guess it doesn't really matter if they ride their horses to exhaustion (which I assume would happen faster with two grown men to one), because if you look at the map Winterfall's not really too too far from Last Hearth. But like. They're going to die anyways. What's a few horses, I guess? 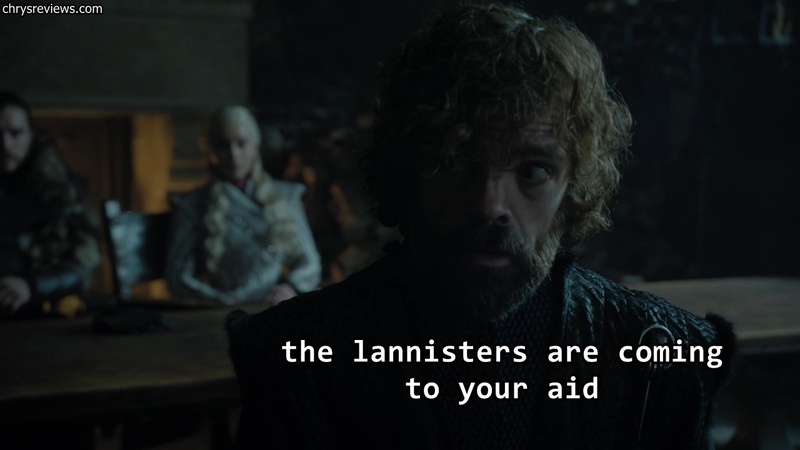 Also, I took some issue with Dany siccing her dragons on the smallfolk at the beginning of the episode then smiling at their fear. That was a pretty y move, even for her. I feel they intentionally made her seem more of a baddie than normal. Kinda how they made us think there was an issue with Arya and Sansa last season. It was just a bit too much to make her out to be a trout. She's not capslock bad. The show is leaving the door open for speculation on her potential be a conqueror instead of a ruler, and I think it could satisfactorily go either way. 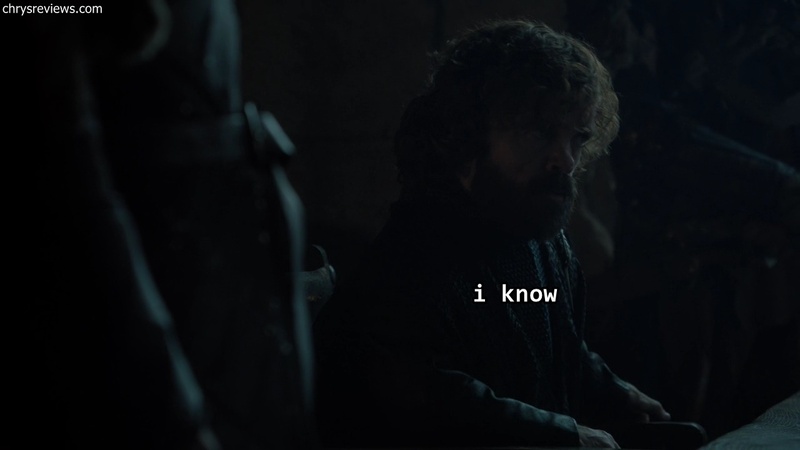 I've been speculating since last season that Dany might end up being the true big bad, but we're only seeing shades of that as of now. Can you just restate that you don't like Emilia Clarke's acting, and that helps propel your anti-Daenerys bias. Lol. Do I really need to restate that I don't like Emilia Clarke's acting? Have I not stated that enough? Tbf, she was extremely charming this episode. She does happy SO much better than strong/intimidating/distraught. Just like Emilia Clarke's acting! This isn't anything new for Daenerys. She was a complete trout to everyone in Meereen and bullied, threatened and ultimately destroyed them with her dragons. I know nobody really gave a trout because they were all Bad Guys (even Hizdahr who was actually a pretty decent dude all things considered but nah smurf him) and we just wanted Daenerys to come to Westeros already but this is who she is. You can't suddenly be all shocked that she's being a twatbucket to the Good Guys now too. Wasn't last season, where she spent a whole episode alternating between threatening Jon and invoking the Targaryen name at him enough of a hint? Or what she did to the Tarlys despite being repeatedly advised not to do so? Agreed. She doesn't have a personality suited to ruling and her actions over 7 seasons bear that out. Saying that, I don't think Jon's naivety makes him a suitable candidate either. I think the show will inevitable play it safe though and have one or the other. Erm, not to poke a sleeping Drogon here... but I don't actually think Emelia Clarke is a bad actor! Don't get me wrong, she's not gonna win any awards and she's outshone by plenty of other characters due to the general standard of acting being extremely high. She gets far too much s*** though for being terrible when in reality she's just average. Harry Strickland/Faegon/Real Aegon is going to come in at the final hour and take his throne. And tell both Dany and Jon to shut the smurf up. 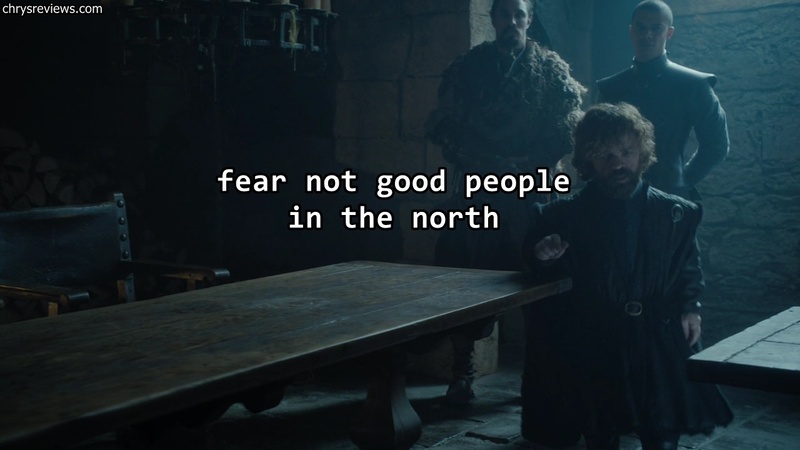 I used to think that Jon not wanting to made him a good leader. And in some ways it does--he considers every decision carefully and does what he really thinks is the best option. Instead of more power-hungry people who don't care who their decisions affect, or assume that they're right simply because they're the ones doing it. But him giving up his crown and the trust of a region of people who have dealt with a lot of brutality over the last decade simply because he didn't want to rule anymore was a pretty terrible thing to do, honestly. 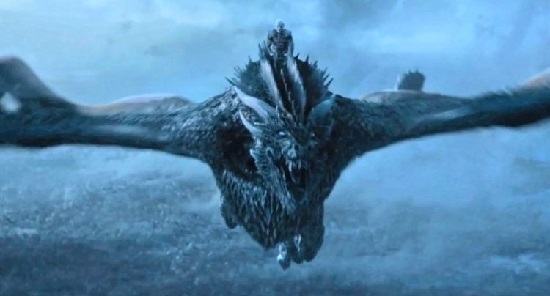 Also, do you think we'll see any of Meereen this season? 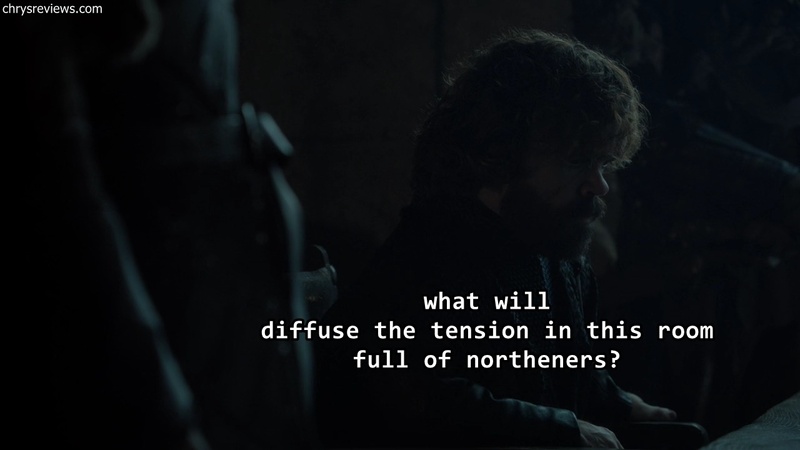 Once the White Walkers are defeated and the final act between Jon and Dany plays out? I'd like to see how absolutely badly Daario is smurfing things up across the Narrow Sea. It'll probably be a dropped plotline, though. Yeah, I doubt we'll see any more of Meereen. 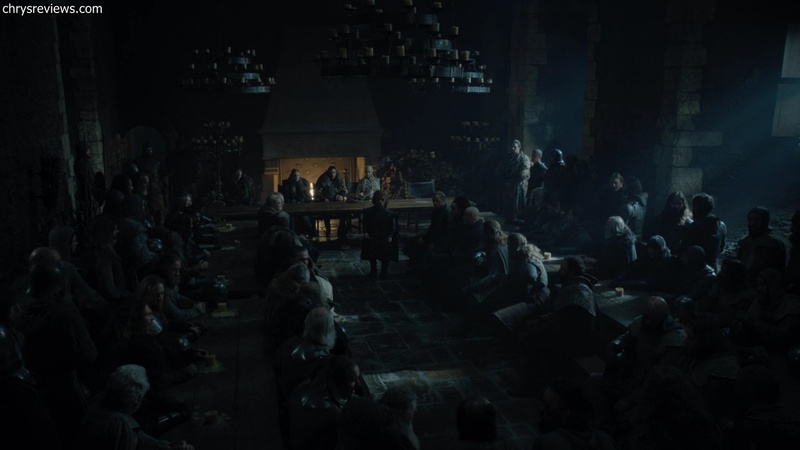 It would be interesting to see what happened but I think the most we'll get is a 2-3 second shot during a montage as Jon and Dany embark on a year-long parade across the entirety of Essos.